We’ve all heard the saying ‘you are what you eat’; so, when it comes to children, a healthy balanced diet is essential for learning and development. With more pressure on children than ever before to outperform in exams, and with greater competition to get in to further education, it’s important to support your child’s nutritional needs and wellbeing. Much research has been undertaken into which foods are best for growing adults. One area of particular focus is superfoods. We’ve heard the term used a lot in recent years, so it’s useful to define what we mean by a ‘superfood’. Simply put, it’s a food considered to be nutritionally dense, with notable health benefits. Some widely publicised superfoods include fruit and vegetables, as well as berries, nuts and fish. With physical activities for kids increasingly promoted, we should also be giving due attention to nutrition for kids as well. After all, with so much going on in a child’s life, a healthy balanced diet is vital; for growth, for learning and for good eating habits in the future. This should include several servings of fruit and vegetables a day that are high in vitamins and minerals, as well as protein-rich foods. “The benefits of healthy foods for kids have been well publicised; central to these are superfoods. Rich in nutrients and vitamins, they help to boost brainpower, which is important in growing adults. Your kids might know it from Instagram (the most published photo in the past year!) but there’s much more to the humble avocado than meets the eye. This fruit (yes, it’s a fruit!) is a good source of natural fibre and is loaded with Vitamins A, B, E, K and C. It can be especially important for mood regulation, which is beneficial in adolescence. It’s also high in monosaturated fats (that’s the good kind). These fats can help prevent blood vessels hardening and may reduce the risk of heart disease and type 2 diabetes. 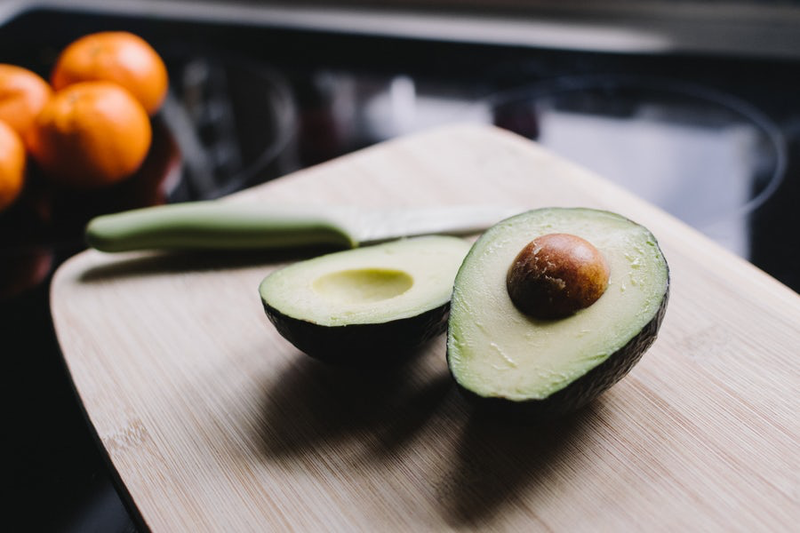 A delicious fruit, avocados make a popular snack mashed down as guacamole and served with carrots for an after-school pick-me-up. Avocados may help reduce risk of heart disease and type 2 diabetes. 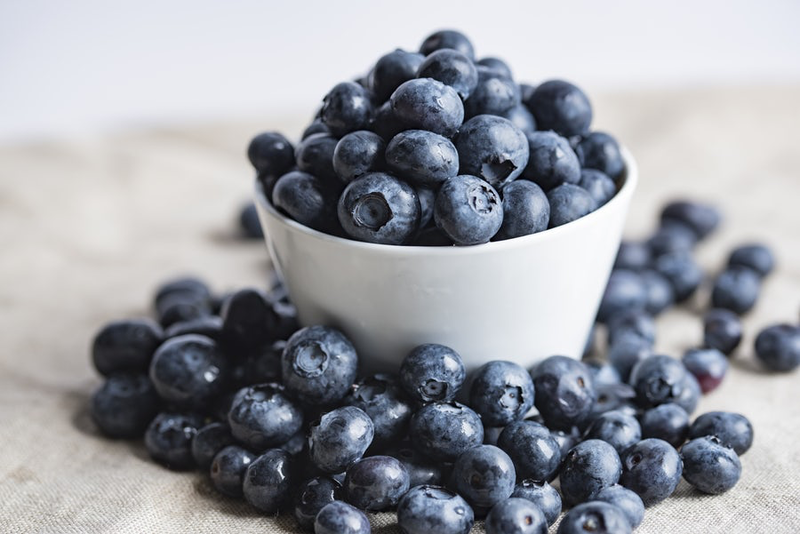 Widely recognised for their antioxidant properties, blueberries are a superfood to load up on. Especially for children, they can help with brain function and enhance memory – important around exam time. One study found that adults consuming blueberry juice daily for three months experienced improvements in their brain function. Easy to incorporate into mealtimes, sprinkle a few on to your child’s cereal every morning, or serve as part of a fruit salad for dessert. As a footnote, you may prefer to opt for organic blueberries. Conventional blueberries have been found to contain 52 different pesticide chemicals. Organic Blueberries are the best. As acruciferous vegetable, broccoli is loaded with goodness, including sulforophane. Sulforophane is thought to have anti-cancer properties. What’s more, this is a vegetable high in vitamins, especially Vitamin K. This vitamin is known to improve cognitive abilities, and improve bone health. Although not to everyone’s taste, broccoli can easily be added to stir-fry dishes, noodles and soups. 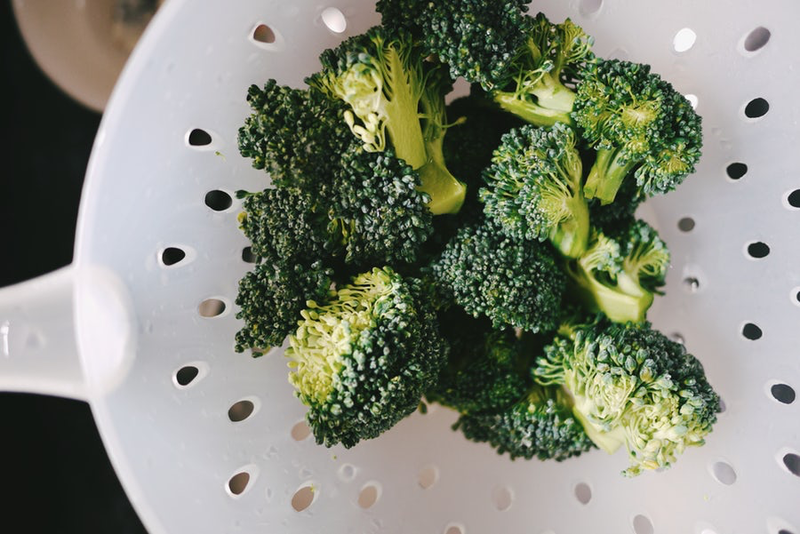 Just half a cup of cooked broccoli provides a whopping 84% of the daily intake of Vitamin C that is required, so you don’t need to add much. Broccoli is loaded with goodness. 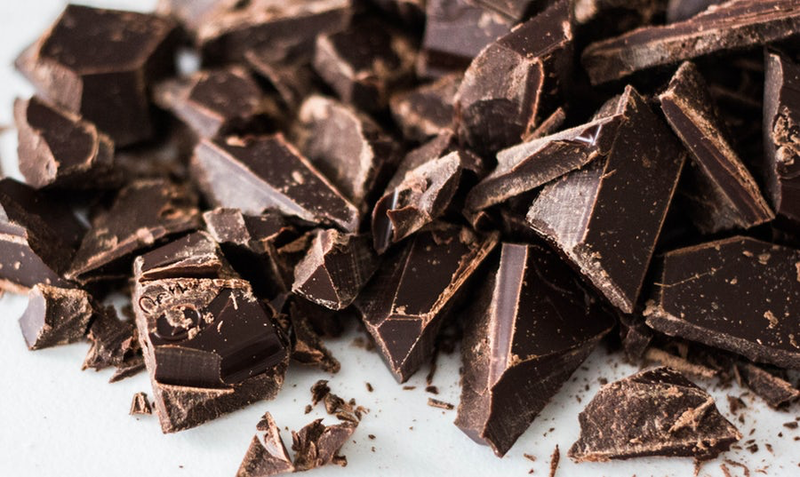 Good news, it’s time to stock up on dark chocolate! High in antioxidants and rich in flavonoids, research shows that the cocoa in dark chocolate can help with blood flow to the brain. This in turn can enhance cognitive brainpower. There’s plenty of other notable benefits too, such as helping to protect against heart disease and improving blood pressure. A cube of dark chocolate as an evening treat may be all you need, since this should still be enjoyed in moderation. Quality dark chocolate can be high in antioxidants. Seafood is widely known to help boost brainpower, owing to its richness in omega-3 fatty acid DHA, which can stimulate brain cell growth. This is a healthy ‘fatty acid’ that is critical for brain growth and development in children. Studies have found that youngsters with an omega-3 rich diet are higher in intelligence and have fewer behavioural problems, among other benefits. Serve twice a week to meet your average omega-3 requirements, as part of your evening menu. 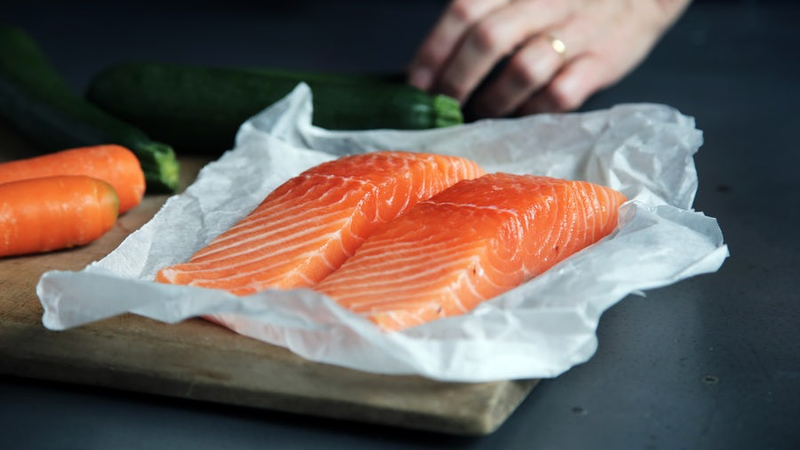 Salmon contains healthy ‘fatty acids’. 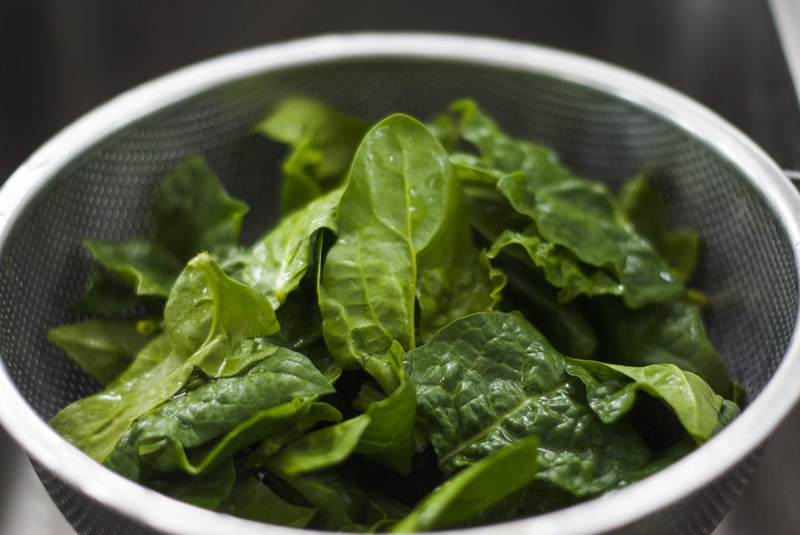 When it comes to eating your greens, spinach may just be one of the best vegetables. 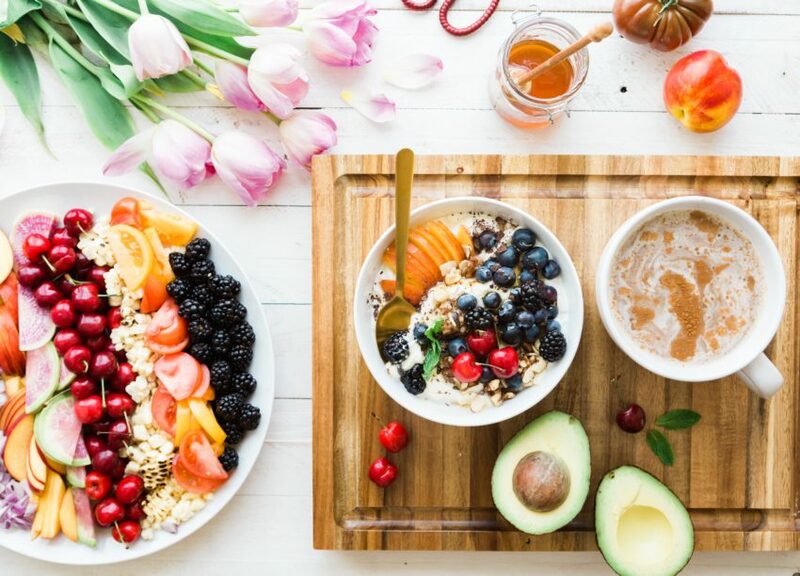 Rich in several antioxidant vitamins and loaded with nutrients, experts have found that it can help keep your brain alert – both in young and old age. While Popeye was a fan, children tend to be less so. This might mean getting creative. Some parents choose to blend this up as part of a ‘supershake’ for early mornings. Others incorporate it into home cooking, rather than a side dish. Superfoods – are your Kids Getting Enough? Whatever your view on superfoods, it’s hard to argue against healthy foods for kids. These six foods above are some of the best fruit and vegetables to incorporate into your family’s diet. Incorporating these can take very little effort in terms of preparation and delivery. Get in touch here today to organise an appointment.